QUICK FACTS• Clemson and Virginia face off for the 120th time in men’s basketball on Saturday. The Cavaliers hold a 67-52 advantage all-time in the series and have won two of the last three. Clemson won the most recent game last year at home against a ranked Virginia team.• The Tigers are looking for their first ACC win of the season, having dropped games to Florida State and No. 1 Duke already. In their most recent game, Clemson was held to just 10 first half points.• The Cavaliers enter Saturday’s tilt at 11-4, 1-1 in the ACC. After knocking off North Carolina at home, Virginia fell to Wake Forest on the road in its last outing.• Saturday’s game will feature two similar teams. 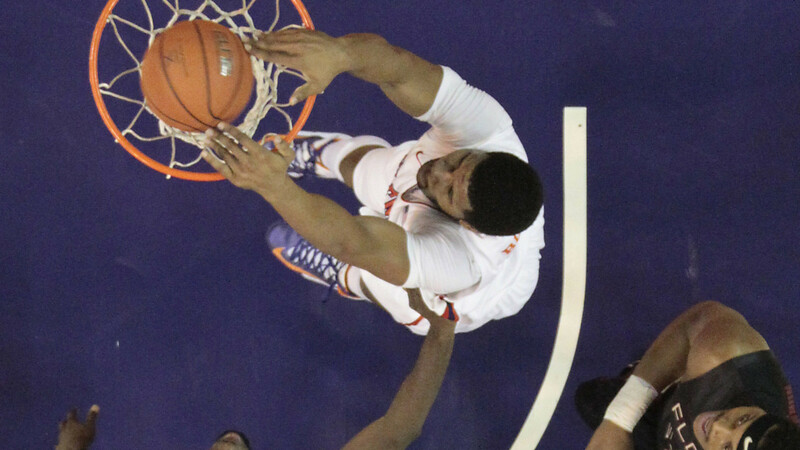 Virginia is atop the ACC in scoring defense, yielding 51.1 points per game. But the Cavaliers are last in the league in scoring offense at 63.7 points per game. Clemson is third in scoring defense (57.1) and 11th in the ACC in scoring offense (64.7).• This will be the third straight game Clemson has faced one of the top three-point shooting teams in the ACC. The Cavs hit .388 of their long-range shots, third-best in the league.• Devin Booker has tallied a double-double in each of his first two ACC games. The 6-foot-8 senior had 19 points and 11 rebounds against Florida State, and then 12 points and a career-high 15 rebounds at Duke.• Booker moved into the top 20 in Clemson history with 610 career rebounds after the Duke game. His 15 boards were the most by any Tiger in 79 games under Brad Brownell, and the most by a Clemson player since former teammate Jerai Grant also had 15 at Virginia Tech in 2010.• Adonis Filer earned his first career start against the nation’s top-ranked team in Cameron Indoor Stadium. The freshman had six points and three steals in 22 minutes.• Filer leads the Tigers with 57 free throw attempts. The last time a freshman guard led Clemson in free throw attempts for a season was Skip Wise in 1974-75. The last freshman to lead Clemson in free throw attempts at any position was Sharone Wright in 1991-92.• Jordan Roper has played 20+ minutes in six consecutive games. The freshman guard out of Irmo High School has scored double figures in four of the six.